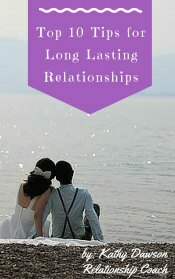 Are you Seeking a Deeper Emotional and Physical Connection in your Relationship? Looking to have more Meaningful Conversations with your spouse or partner? Do you want Less Stress in your Marriage or Relationship? All of this is possible with the help of a Relationship Coach! That is where Coach Kathy Dawson comes in. She works with couples, individuals and families to help build relationships, to make them stronger and long-lasting. Relationship Coaching, is often referred to as an “Alternative or Supplement to Marriage Counseling or Marriage Coaching"
Develop ways to communicate and strengthen their relationship. To Like how they feel about themselves when they’re with each other. Not sure a Relationship Coach can help? Look at the following checklist below. You and your mate feel like roommates instead of friends and lovers. You feel lonely in your relationship. You feel emotionally or physically detached from your partner. You are thinking of divorce or canceling your wedding or breaking up. One or both of you have had an affair and you don't know how to put your relationship back together. You're not sure you are ready for a life-long commitment. You want more fun and romance in your life. Kathy has been working with clients and building better relationships for more than 25 years. She has the experience to support you and your relationship. 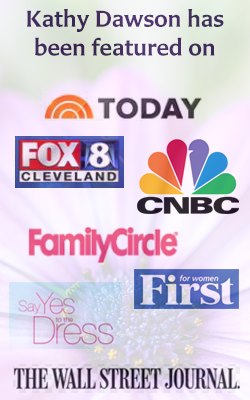 Get more details on her Relationship Coaching services and discover what exactly is Relationship Coaching. 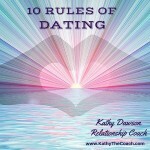 Download Kathy's FREE eBook - Top Ten Tips for Long Lasting Relationships. Take a small step today to make long lasting changes to your relationships. Are you ready to learn more? 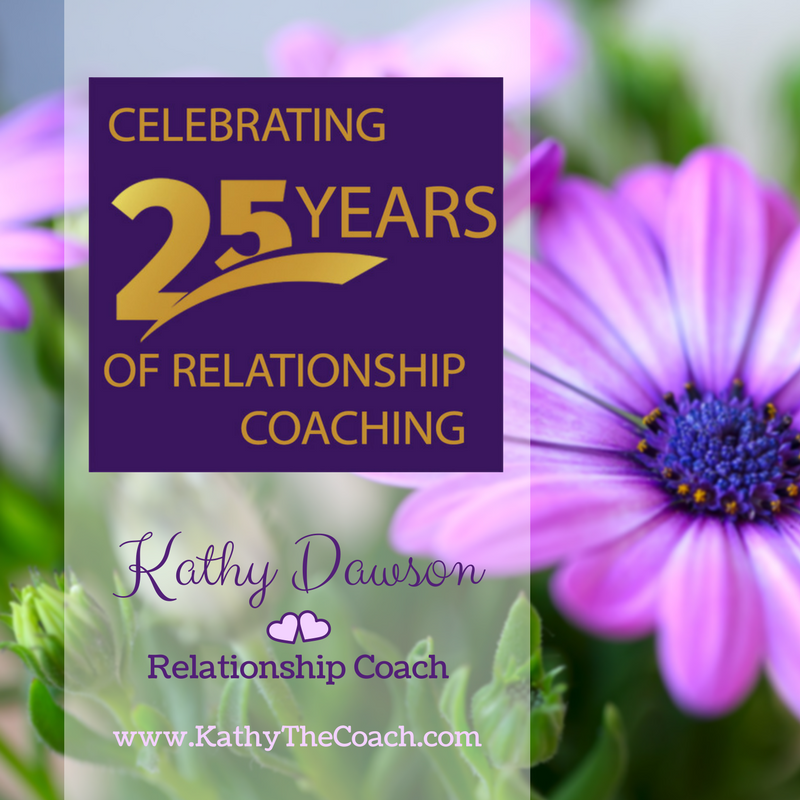 Contact Kathy and book your first session to discover how she can help your relationship. Kathy has opened our eyes to so much and has provided us with tools to help us treat each other with dignity. My husband and I were really in trouble when we first started coming to Kathy. Week to week we learned valuable information in easy-to-understand terms. By following Kathy's assignments and going through the entire program, our marriage is stronger than ever.